Slowly but surely throughout the past few months, Ive been meandering my way towards embracing a sugar-free diet as much as possible. I know, please refrain from letting your jaw hit the floor ;-). For those who know me personally, they know that I have been the dessert QUEEN for well over a decade now. Dessert is my middle name. Its one of the first things people have picked up on about me shortly after meeting me in the past. My love of all things sweet. Though, if you are what you eat, I guess Ill take it ;-p.
Joking aside, I have always been passionate about health and nutrition. Ever since studying it for my first year and a half of university (before switching over to a degree in Communications), I have been passionate about the subject of health. I still am. I love to read about it, I love learning new things related to health, exercise science, and nutrition. I am fascinated by emotional and mental health as well. And within the past couple of years, I have becoming a passionate baker/cook, which is semi-parallel and a relatable subject without question. The two tie in to one another. I am fascinated by health related topics of all varities, ranging from "why there are epidemic levels of lonliness within the US nowadays" to the fact that "90% of the diseases we contract are preventable," to fairly new trends related to wheat being a gut-inflammatory food for 80% of people (that is whether or not you have been diagnosed with a gluten allergy or not) and sugar being one of the main causes of so much of the disease and health problems that people have nowadays. I love all of these topics. All of these topics intrigue and deeply interest me. I think topic is a super relevant topic. Learning and being concerned with all aspects of health helps to ensure one will live a happier, longer and more fulfilling life. 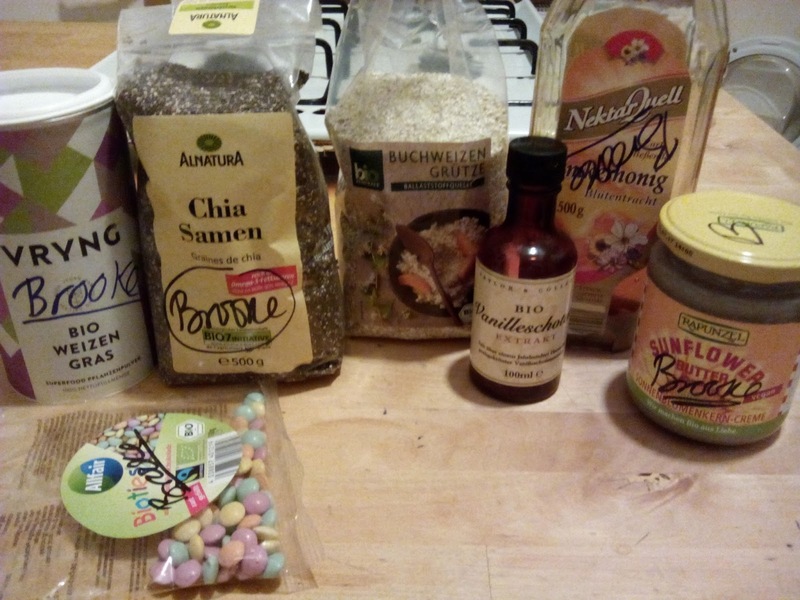 So, more on the plane of nutrition and eating, as a former (and still secretly fighting it) dessert fiend, I have grown inspired by the recently up and coming raw foods and sugar free dessert trends. I have sampled a number of these sweets and have been shocked to find them delicious. If one can still have the great taste, but without all the terrible-for-your-health ingrediants, why not go along with the option thats better for your body? Its a no-brainer. So with that said, I wanted to share with you guys two super yummy recipes that I have found myself admittably hooked on at the moment. I have been eating both of these regularly, when I find myself yearning for something sweet. These satisfy and fit the bill, but are made of ingrediants that are actually good for your body! Both are totally free of refined sugar. How cool is that?? And, both of them take less than 10 minutes to throw together. How even cooler is that!? Without furhter ado, here you go. One of them is my own recipe, the other I discovered through "Ella Delicious," a new favorite cookbook of mine. This recipe is SUPER addicting. My god, I love this. I have begun dreaming about these regularly. 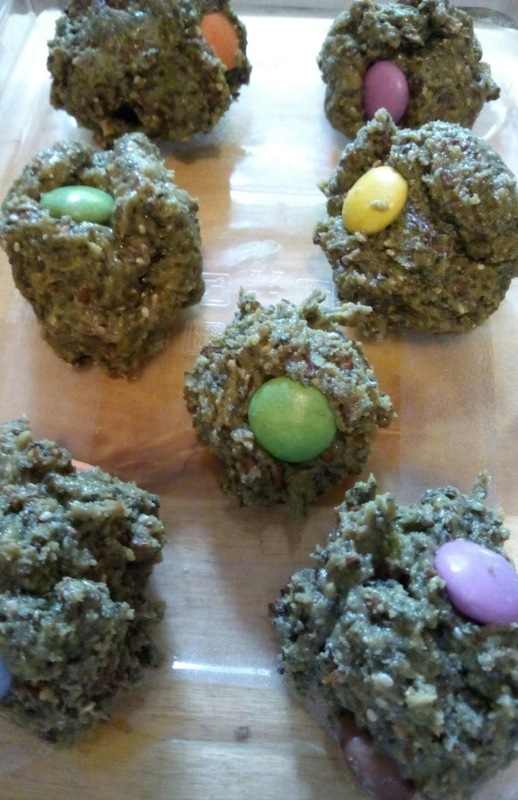 They taste like peanut butter with some M&Ms thrown in, except the ingrediants used are actually pretty decent for your body (save for the small smattering of M&Ms, which is of course optional). Thats it. And measurements need not be exact. It doesnt make a huge difference. You will see with texture as you make it, if something might need to be added. So, to assemble these sweet treats: use roughly 1/2 cup of sunflower butter. Spoon this into a bowl. Add in about 1/4 cup of the buckwheat and 1/4 cup of the chia seeds. Stir well. Should be a thick, paste-like texture. 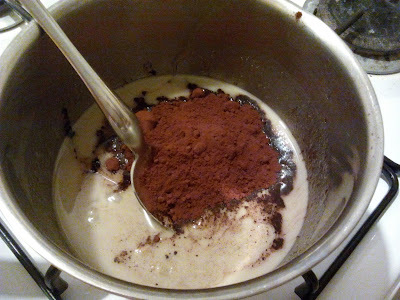 Add in 1 capfull (1 teaspoon roughly) of vanilla and 2-3 tablespoons of honey. Stir well to mix all ingrediants. If the mixture seems too runny, add in a bit more chia seeds or buckwheat groats to thicken it up a bit. Finally, add in about 3 tablespoons of wheatgrass, which is again, optional. Only if you feel like it. And lastly, a tiny smattering of mini M&Ms. I add just enough so there are maybe 2-3 mini M&Ms per each sunflower butter ball. Hardly any at all. Just to give it a tad bit of crunch. Now mix everything together and spoon tablespoon sized balls into a tupperware container. 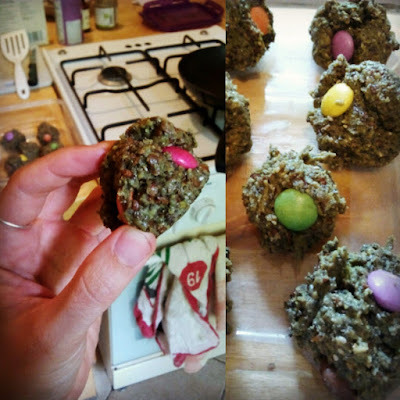 This recipe makes roughly 5-7 balls, depending on the size you make them. Place the tupperware with the sunflower balls into the fridge. Allow to chill for at least an hour or so. Enjoy, at your leisure, as you like. You will see ;-) really delicious and addicting. Super yummy. These were not with mini M&Ms, these were regular sized ;-) I just put two M&Ms on each ball. These bad boys take literally 5-6 minutes to whip up. I often eat a couple straight out of the bowl, before popping them in the fridge. Be carefuly, you may find yourself making these pretty often ;-p they have become my go-to dessert craving. Enjoy!!! 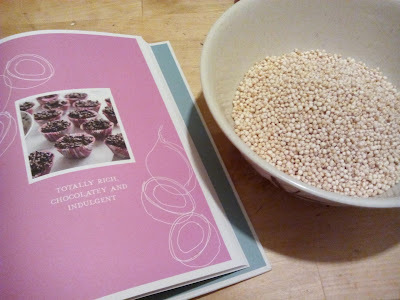 Quinoa chocolate bites (refined sugar free and gluten free). I got this recipe from Ella Delicious and its fabulous. I have made them and eaten a number of spoonfulls straight from the bowl before even assembling the treats. It tastes like brownie batter. Really good. I cannot believe they are sugar free when biting into one of these. They taste fudgy and decadent. There are so few ingredients in these too, which makes them incredibly simple to make. 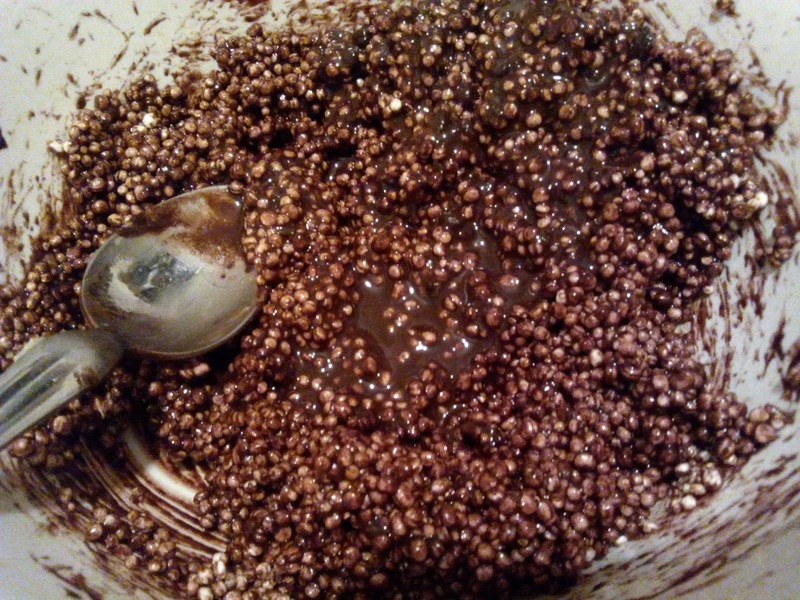 You just need five ingredients: raw cacao, almond butter, coconut oil, maple syrup or honey and puffed/popped quinoa. 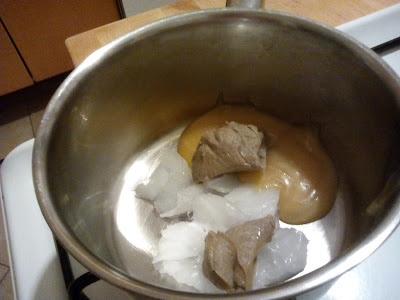 Place the coconut oil, cacao powder, maple syrup and almond butter into a saucepan and gently heat it for a few minutes until it’s totally smooth and melted. 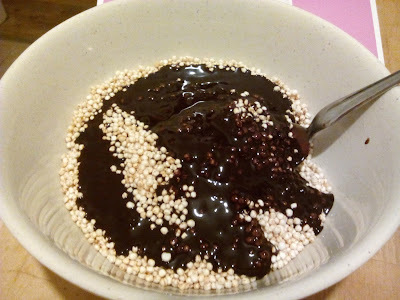 While this melts, pour the quinoa pops into a mixing bowl. 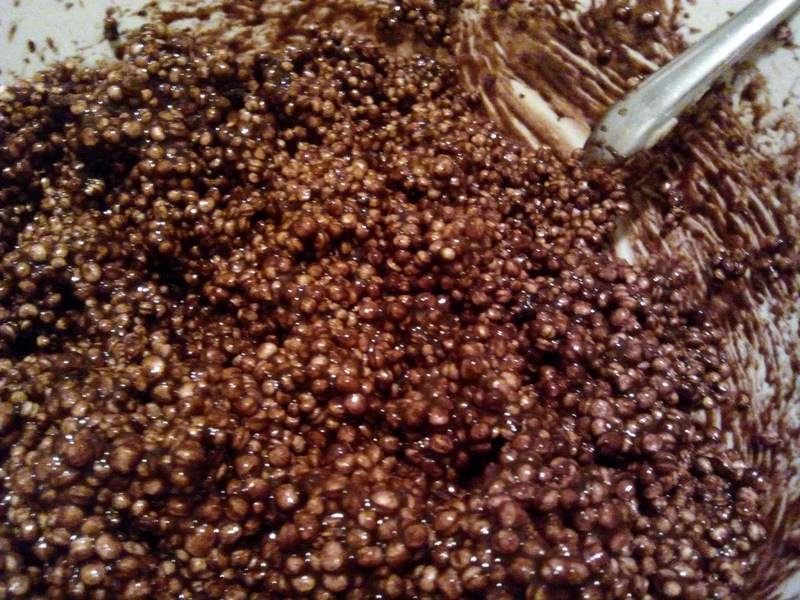 Once the mix has melted, pour it over the quinoa pops and stir it all together until all the quinoa pops have been covered in chocolate. Scoop the mix into small cupcake holders and place them in the fridge for thirty minutes, then serve and enjoy! Solo Trip to Stockholm, FINAL Part!